I had the perfect home for the bookcase, across from the girls room and main bath. We really struggle with storage space in our recycled home and this was an extremely useful piece of furniture. It holds the bath towels, and the girls hair accessory bins in the top and middle and all the girls books and DVD’s on the bottom. On the very top shelf we set up some of their porcelain dolls. 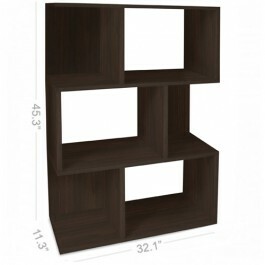 So, although it’s proper use is a bookcase, this line also make for great looking multi-purpose storage. To make this product even more awesome, if you have even less living space then we do, you can line a few of these together and they make a really nice room separator. Not only does it have a sleek, modern look, but it was SO simple to put together. When they say “World’s Easiest Assembly” they’re not kidding, we had this together in minutes, no tools, no screws – nothing. 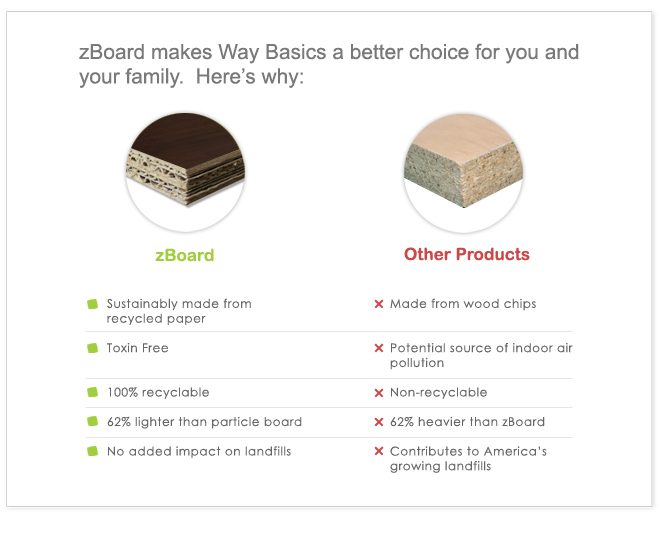 The Zboard that are used to build their products are safe and eco-friendly. They contain no formaldehyde, there is no out-gassing, they’re made from 99% post-consumer waste and they’re recyclable. Way Basics product line is full of fun colors and products which would make great green holiday gifts for all ages. Consider Way Basics to decorate the grandkids rooms with colorful storage cubes or a cute little table and stool set. Maybe a bookcase for the book lover in your life. While you’re shopping use coupon code WBEOG10 for 10% off the entire store. Whatever you choose you can know you are giving the gift of green this season. Disclosure: This is a sponsored post, the product was given to me free of charge to review. All opinions are my own and not influenced by the company. 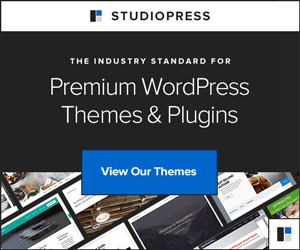 « StudioPress Theme Discount and some free stuff, too! I did not, it’s sturdy. The littlest one is 6 but I don’t feel need to be concerned, it not a very heavy piece and I don’t have have stuff on it. Hi – did you need to attach this to the wall for it to be safe around the little ones? The Zboard that are used to build their products are safe and eco-friendly. A very green product indeed! Plus, it’s very stylish compared to other green products.